…In the battle of ‘Uhud, a lady from the family of ‘Amr manifested her excellent upbringing, her husband, and her father was both participating in that battle. Her father whom was already in his eighties and could hardly walked properly was told to reamin at home but he replied promptly, “Oh you would rather enter paradise and leave me behind? No, I shall follow.” When the battle was at its peak, Hind’ the aforementioned lady whom was the daughter of this old man ‘Amr saw an arrow headed towards the Messenger of Allah s.a.w.. She immediately went forward to shield the Messenger. During the battle, her husband , father, son and brother were martyred. “Yes, Messenger of Allah, he made a supplication saying, ‘Ya Allah do not make me return home humiliated and grant me the honour of martyrdom in your way! '” replied the lady. When their burial was completed, the Messenger of Allah s.a.w stood by their graves and bore witness to their martyrdom in the way of Allah and that no one sends blessings to them but that they hear it until the Day of Judgement. The third most important influence upon our children is their companionship for the Messenger s.a.w. mentioned that a person is upon the religion of his close companion (his character, inclinations are influenced by his/her companionship etc.). Our duty as parents, we are obligated to choose decent friends for our children as a person’s mannerisms can be reflected upon another. We have to cultivate them early to sit among scholars of the religion for their future well-being. However if we’re negligent, and we let them sit among indecent company, theirs will be an indecent, despicable future. Isn’t wondrous that we pay attention to the upbringing of our children for a pious son or daughter becomes a source of good for their deceased parents whom benefit from their acts of piety. The following is a story from which we can learn a beautiful lesson. “Why are you lips busy, (what are you reciting)?” the dreamer pretend to ask. “Why do you ask?” replied the bookstore owner. The man then went on to relate about his dream where he met the father of owner of the bookstore. Upon relating the whole story, the bookstore keeper cried and said, “It is true I complete the Quran everyday and sent its rewards to my father”. After several years, the pious man had a similar dream but this time the father of the bookstore keeper was seen grabbing for food among the rest. The man then asked the reason for the change upon which he was told that the son had just passed away. Upon waking up he checked with the locals and found that it was true, the bookstore keeper had just passed away. If parents succeed in producing children who both memorize and practice the Quran, they will be granted a crown of light in the Day of Judgment whose light outshines even the Sun. If such an honour and bounty is given to the parents surely, the child who achieved will definitely be given nothing less. Let us then make a good intention in this blessed place and occasion. It is said that one good intention opens up seventy doors of blessings and goodness. There were many children whom became pious individuals due to their parents’ pure intentions made in the mosques. 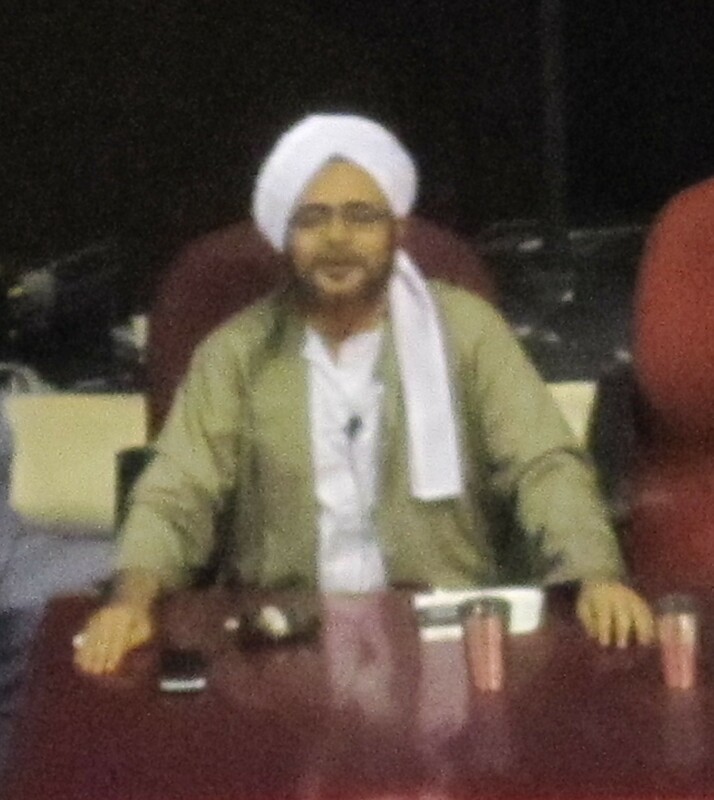 Bismillahi wal Alhamdulillah wa solatu was salaamu ‘ala Rasulillah, here is a simplified transcript of Habib ‘Umar’s lecture at Alkaff Mosque after Isya’ on the night of 18 October 2010. ….The Messenger of Allah s.a.w. consistently reminded parents to nurture and protect their children in a hadith in which he said, “A father shall be responsible for anything that happens to his family at home. A wife shall be held responsible for her obligations towards her husband.” We are made responsible by Allah to provide halal food for our children and prepare them to live a good life. The greatest of all obligations and that which has a high standing by Allah is to pay careful attention to their faith or iman and their character. Everything that is beneficial for them be it for this world or hereafter, is allowed/can be given/provided for them while paying careful watch over their faith and character development. Blessings shall increase upon us if the jobs that we as workers in the government or private institutions possess taqwa or God-Wariness. It is related that in Europe that a non-muslim employer called upon his muslim employees during Ramadhan and asked them if they were fasting and said that if they were he shall cut their pay since their productivity would be expected to be lower. Some of them decided to break their fast because of this but a small group declined to give up their obligatory fast. They didn’t mind a pay-cut and told the employer to do as he wish. The non-muslim employer then censured the group whom had decided to give up their fast for betraying the trust of their religion, he fired them as he believed it wouldn’t be possible one day that they betray their own company. While the rest who have preserved the trust of their religion was allowed to stay with no pay-cut at all. Know that every muslim that obey Allah’s command and is steadfast in them helps to spread Islam to the rest of the world. By disobeying Allah and betraying the trust actually hinders people from entering Islam. Thus we need to reflect upon what we have prepared our children with as they would one day interact with others and work in companies/institutions. The nurturing companions of the Prophet s.a.w. brought their newborn to the Prophet s.a.w. who would feed some dates that he s.a.w. had chewed to the new born. Thus, the first substance that enter the belly of the newborn is a portion from the Prophet’s s.a.w. blessed saliva. While the bigger kids were commanded by their parents (whom were the Prophet’s companions) to visit the Prophet every morning to kiss his blessed hands and get leftovers from his ablution water. Since they were relatively small they could easily walk in and out of the Prophet’s s.a.w. house especially during the time the Prophet return home from the mosque during Duha period. Even before their children could walk they would bring them to the laps of the Prophet Muhammad s.a.w. Among them (companions) would command their sons to bring a container filled with water every morning to the Prophet Muhammad s.a.w. so that he could put his blessed hands inside the water which then became the family’s drink for that day. Such attention given by the companions made their children great leaders and men of great faith and Allah made this world and the next subservient to them. During the battle of Uhud, the Prophet made the army stand in a row to see if there were any children and old men to be sent back home. Some sons of the companions out fear of being sent back would stand on their toes to appear tall and able. This (zeal they portray) is a result of the nurturing they received and a fruit of what they heard and saw when they were at home with their parents. At that battle, one of these boys was sent back from battle and came to his father weeping and was asked why replied, “How can I not cry when a friend of mine had his parents came to The Messenger of Allah to request that their son be allowed to fight and the Messenger permitted while I was told to go back, and if I were to wrestle with that boy I would overcome him, why can’t I fight in the battle then? Please request the Messenger to allow me to fight.” In our age now, it is difficult to find such children who would cry if they were left behind for congregational prayer or circles of knowledge but they would cry if they were left out of football matches or films that they love. This is an effect of upbringing. This is the first step, the beginning, what would then happen to them later? The father in the story narrated earlier than went to meet the Messenger of Allah to seek his permission for the son to fight in the battle. The father added that his son was more capable than his son’s friend whom the Messenger s.a.w. allowed to fight. The Messenger s.a.w. then called for the other boy and told them to wrestle in front of him s.a.w. Indeed the boy whom was told to return proved more capable by subduing his friend. The Messenger s.a.w. then allowed both to fight in the battle. The blessings from an excellent tarbiyah or upbringing were evident in all their families. We begin with sending prayers and blessings to the Presence of the Prophet Muhammad s.a.w. who if it wasn’t for him we won’t be gathered here in this place. “Ya Allah send your peace and blessings upon the Prophet Muhammad s.a.w. who has given us guidance and example”. And peace and blessings be upon those of his family s.a.w. whom Allah has made the Qur’an and them in harmony (hadith) until the day of judgement. And peace and blessings upon his companions among the muhajirin and ansar whom Allah has made them people whom He (Allah) is well-pleased with together with those who love them (muhajiriin and ansar) and He hates those who hates them. And peace and blessings be upon all His servants who follow upon their footsteps until the Day of Rising. And we seek peace and blessings for ourselves, our parents, families, teachers and all muslims. Amma ba’adu, the subject matter for this gathering touches upon an issue that our Prophet s.a.w. was much concerned with. The subject that is the future of our children. The prophet s.a.w. strongly emphasizes upon us to teach and train our children both boys and girls the way to live. Our children include among his ummah/community whom he shall waiting for by the spring al-kawthar. The messnger of Allah reminded us to give attention to our children from the day of the solemnization of our marriage. In a hadith, he indicated, ‘…get married and have many children for I shall take pride in the size of my community on the Day of Rising’. Not everyone will have the chance to drink from his spring of the Prophet save those who passed away from this world upon his faith and love. The best way to die in faith and love is to put to practice the way that the Prophet s.a.w. had taught us. Verily Allah has by His wisdom created in this world elements that influences both us and our children. We have to therefore give serious attention to these influences. Our children can be easily influenced by whatever they are exposed to in their houses and corruption can also occur outside. The first and fundamental avenue of influence are their sight and hearing. This was indicated by our Prophet Muhammad s.a.w. when he made it a sunna for us to recite the call for prayer in the right ear and the iqaamah in the left ear of the newborn. We are well aware that a newborn cannot understand the words nor could the newborn stand for prayer. However here is a lesson/allusion for us that whatever was heard although not understood at that point of time will bear an effect upon the baby later in its life. How many of our children whom after hearing just a single word, became disobedient to his/her parents? How many of our youths whom upon hearing only a single word, abandoned their canonical prayers? And how many whom after hearing only a single word had their faith shaken upon its roots? And how many after hearing just a single word lost in their hearts the magnification/deep reverence for companions of the Prophet, his family/ahlil beit, men of piety and gained instead the reverence for people whom are among the potential fuel for hellfire? How many of our youths became delinquents and a menace to society just from hearing a single word?. How many have there been people whose thoughts were influenced just by a single vision and how many people changed in character as a result of a single glimpse? How many have there been whom a single glimpse moved them to perform prohibited acts? Verily our Lord declared “Verily, the hearing sight shall be questioned on the day of Rising.” The pious men of the past, whom even when they were in the Holy city of Mecca would accompany their children if they were going to the Sacred Mosque just to ensure they do not hear nor see that which Allah dislike along the way. 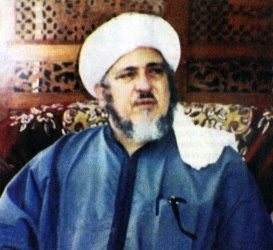 Among them were Habib Muhammad bin Husayn al-Habshi of Mecca whom was a contemporary of the local Habib Nuh al-Habshi. The vices of that age was little as compared to now but they were much more strict and meticulous in the attention they gave to their children. In this age when vices are rife the attention given to our children is just too little. I am amazed, O beloved assembly that in this age many parents do not pay sufficient attention on the development of their children and on that which they hear and see while there are others outside whom carefully plan the items that which they want to feed the ears and eyes of our children. I apologise if there are any mistakes in this simplified translation and transcript. May we gain benefit from Habib ‘Umar’s knowledge, amin.